Wang Yi called US-led attacks on Huawei "abnormal, immoral"
China's foreign minister lashed out Monday at what he called "abnormal, immoral" attacks on Huawei amid growing concern, led by the US, that the telecom giant poses a security risk to the West. 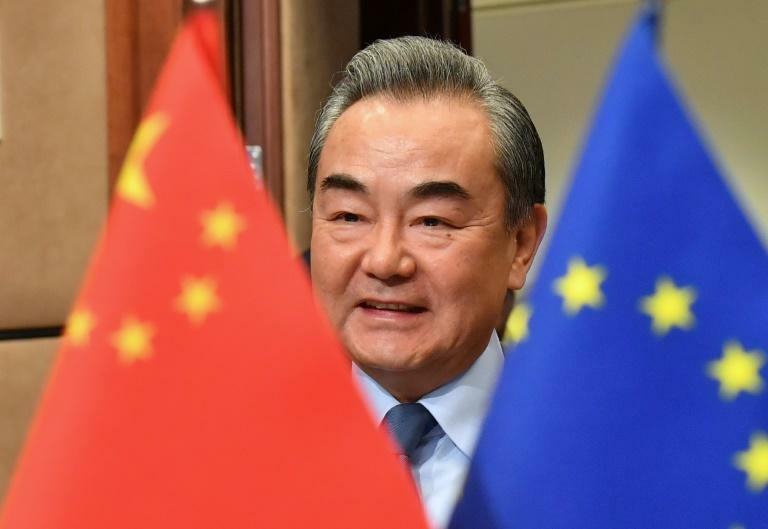 Wang Yi demanded a "fair and just competition environment" for Chinese firms as he met EU foreign ministers and officials for talks in Brussels. "China hopes all countries will create a fair and just competition environment for companies of all countries," Wang told reporters before joining a meeting of EU foreign ministers. "What we oppose is groundless accusations out of political purposes and attempts to bring down a foreign company. We think such practices are abnormal, immoral and have no support from other countries." Huawei strenuously denies allegations its equipment could be used for espionage and Chinese Premier Li Keqiang insisted Friday that Beijing would "never" ask its firms to spy on other nations. The US has said the company poses a "threat" to Europe and last week NATO Secretary General Jens Stoltenberg said the alliance took these concerns seriously. "We hope and we believe European countries and other countries will have independence in making their own choice and their own judgment," he said. The 10-point plan called for more balanced ties, warning that China was a "rival" to the bloc as well as its biggest trading partner. In response Wang insisted China and the EU were "comprehensive strategic partners" and laid out his own 10-point plan for greater cooperation. His comments found an echo in EU diplomatic chief Federica Mogherini, who stressed common ground between the two sides and insisted that last week's policy document was primarily aimed at informing internal debate in Brussels. Mogherini's comments contrasted with the tougher rhetoric of European Commission Vice-President Jyrki Katainen at the launch last week of the new EU plan -- pointing to divisions over the China strategy at the very highest level in Brussels. Katainen insisted on a need for Europe to "more assertively" push for reciprocity in trade relations and defend its values. As he arrived for Tuesday's meeting Lithuanian Foreign Minister Linas Linkevicius warned that in the face of a China that was becoming "really ambitious, expansionist", the EU had to set rules and stick to them.